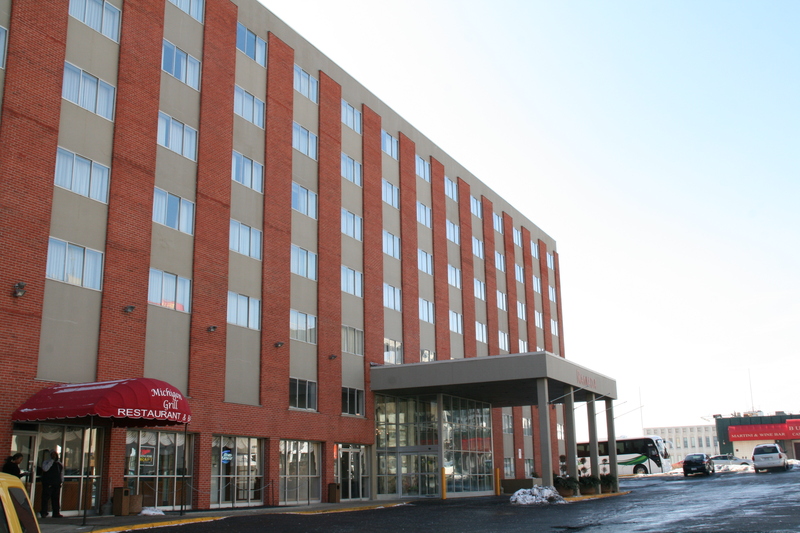 The Ramada Milwaukee Downtown in 2015. Marquette later acquired the building and land to the west, considering it for an arena. Photo by Jeramey Jannene. Marquette University almost had its own basketball arena, Tom Daykin reported this week in the Milwaukee Journal Sentinel. Marquette is a tenant of the Milwaukee Bucks at Fiserv Forum, the new 17,500-seat arena. Though, as Daykin reported, the university’s agreement with the Bucks only lasts the next seven years. Terms of that lease aren’t public, but the lease is suspiciously short. And the story suggests MU may be paying a lot to rent the forum, compared to its previous deal for the Bradley Center. Marquette has a number of projects underway on its campus, including a new Physician’s Assistant program building and an athletic research center. Lacking sufficient funds for the costly remodel, a historic building at 817-819 N. Marshall St. won’t become a boutique hotel. The pair that owned it, Katy Rowe and Dale Stenbroten, had approval from the Historic Preservation Commission for an 18-room hotel in the 120-year-old building. But as reported in the Milwaukee Journal Sentinel, the project proved too expensive and will not move forward. For more details on what could have been, see prior coverage from Urban Milwaukee. Mandel Group, Inc. sold off the first floor of its Marine Terminal Building at 100 N. Broadway. The firm sold the 41,000 square feet of office space for $10.45 million to Zeon Properties LLC, Sean Ryan reported in the Milwaukee Business Journal. The floor was once Mandel’s headquarters, before the firm decamped to 333 E. Kilbourn Ave. to make way for an expansion for architecture firm HGA. ACTS Housing recently marked the 2500th time they’ve helped a new homeowner into their home. The real estate brokerage firm helps people purchase homes with counseling and small loans. And they hit a major milestone October, Lauren Anderson reported for BizTimes, when the Gaines family closed on their home after going through ACTS program. This family is just one of more than 100 ACTS is projected to help this year.